Google Mobile first index” is a trending topic in the entire Digital Marketing industry now. In this post, I’ll explain in detail about what is Google Desktop First Indexing and “Google Mobile First Indexing”. Here in “Desktop First Indexing”, the Google crawler bot will crawl through the website with URL’S Desktop version in order to index Google. 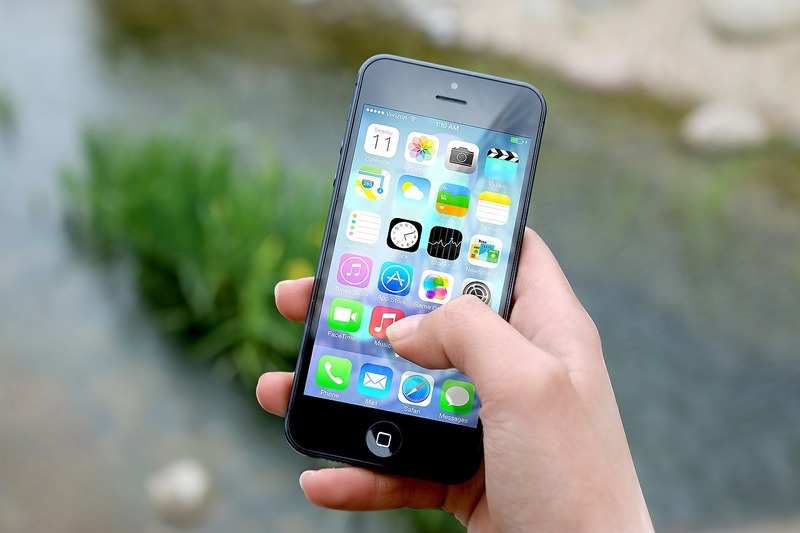 This will not take into consideration whether your website has any mobile version or not. It will not have any impact on your website rankings if you don’t have the mobile-friendly website. As the word suggests itself “Mobile First Indexing”, here the Google crawler, crawls Mobile version of the website first and next it crawls to the Desktop version of the website. Most of the people have a misconception on “Mobile First Indexing”, they think that it only index mobile version websites, that is completely wrong. It’s not “Mobile-Only Index” it is called “Mobile First Indexing”. For example, if your website doesn’t have a mobile-friendly version, still your website with desktop version will be in an index. If you don’t have a mobile-friendly website it will definitely show a negative impact on rankings of your website, but maybe not in indexation process. The website with better mobile-friendly experience will definitely gain rankings even for searchers on a desktop. The “Mobile First Index”, from the word itself we have to understand that the mobile version of any website will be taken into consideration first and it will be primary version of your website. If Desktop and mobile versions of your websites are equivalent and if you make any changes in your content to optimize it on mobile or if you make any special responsive design for a mobile version of your website and those changes should not show any impact on the performance of your website in search results. Till now we considered the desktop version of a website is a primary version and the mobile version of a website is treated as the alternate version. That is why Google Webmaster came up with the separate mobile website (m.domain.com). 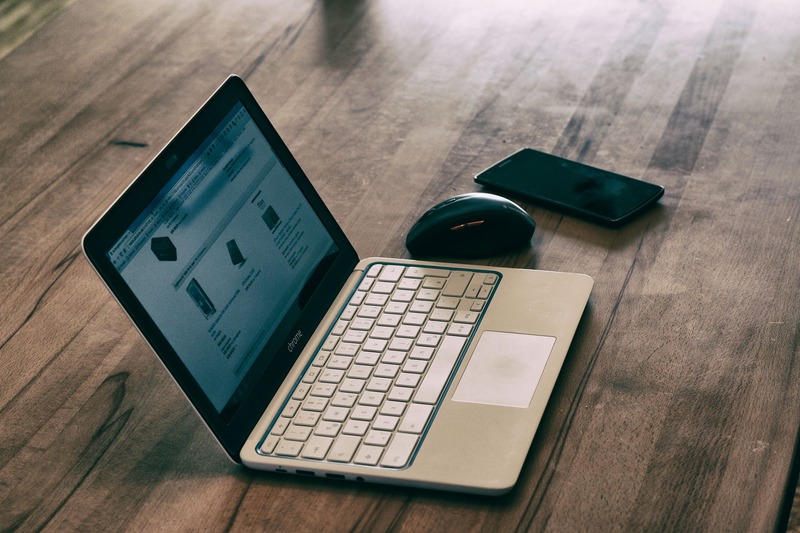 Assuming that the desktop version of a website is a primary version all SEO’s and Digital Marketing teams are in practice to prioritize the desktop version with full content and structured data markup, hreflang (i.e. international tags) and backlinks etc. ; and where the mobile version of a website is lacked its priority with lighter content, without properly structured data markup and without any backlinks. What Can We Do For Google Mobile First Indexing in SEO? As for now, there is nothing to worry about this “Mobile First Index” update by Google. Because this new update is still in a very early stage of its implementation and it is in the stage of testing. Google is rolling out very gradually on to the websites which Google considers is to be ready for this “mobile first index” change and to have a very minimal impact on its rankings in search results. Even though if your website is totally responsive and equally identical in both mobile version and desktop version, it’s better to check that the mobile version of your website pages are performing well or not in terms of page speed and loading time and images are fully visible , all tabs and content should be properly visible, etc. Actually, the space management is the best SEO practice for mobile responsiveness website. 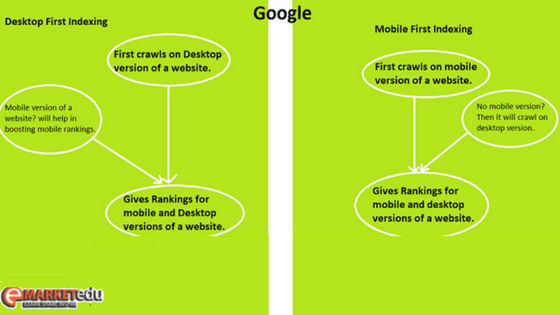 Best SEO Practices to follow for “Google Mobile First Indexing”. Content:- Ensure that the mobile version and the desktop version of your website have same or equal content. If the mobile version of your website has less content compare to your desktop version, you should consider that to update mobile version of your website content is equivalent to its desktop version website. The content which includes text, videos, images (alt-attributes for images) and the formats used for a mobile version of your website should be easily crawlable and indexable. Structured Data Markup:- Make sure that to include the same structured data markup on both mobile version and desktop version of your website. The URL’s that visible within the structured data of mobile pages should be the mobile version URL. Metadata:- The meta titles and meta descriptions should be equivalently same in both the mobile version and the desktop version of your website. 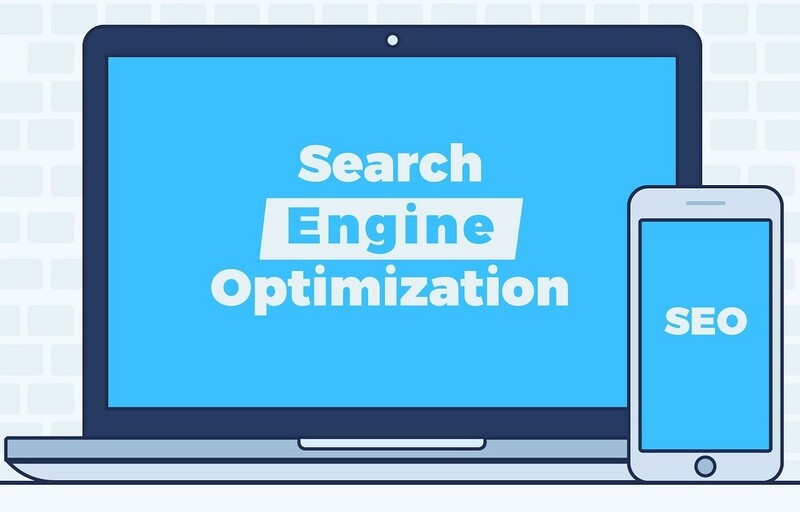 If you still want to optimize your meta titles in short, you can do it, but be sure that the same information and relevant keywords are included in the content of the website. Google Search Console:- If your website has both the desktop version and mobile version, it’s better to check whether both versions of your website are verified with Google search console or not. Robots.txt directives:- It’s always better to verify that your website robots.txt directives are working as per your requirement. The robots.txt is the file where the website owners to instruct web robots on which pages of a website it should crawl. In general, both mobile version and desktop versions of your website should use the same directives. Hreflang Attribute:- The hreflang (rel= “alternate” hreflang=”x”) this makes Google understand that which language you are using on particular web pages of your website. Based on this search engine will show the results to the users in that particular language. If you use a rel=hreflang link on your website for internationalization, then link between URL’s of your websites mobile version and desktop versions separately. Then the mobile URL’s hreflang should point to the mobile version of your website and the desktop URL’s hreflang should point to the desktop version. Servers Capacity:- You should check those hosting servers on your website are enough capable to handle the increased crawl rate on the mobile version. Social Metadata:- Make sure that all social metadata are included both in the mobile version and desktop versions of your website equally. Including Open Graph tags and twitter cards etc. These are the few best SEO practices that one can follow for “mobile first indexing”. Hope this article helps you with an overview to shift your website to “Mobile First Indexing”.